You may not have noticed but I was a busy bee cleaning up some of the tabs up top. It took me an age but I'm finally happy with how the renovation, design, diy and travel sections. Nothing complicated but hopefully easier to find what you are looking for or just have a browse around. I haven't quite finished with the entertaining page but I'm working on it. I've also updated the contact tab. Along with contact info I've included some frequently asked questions. I'm not loving it but I have a hard time writing about myself. Anything else I need to put in there? Suggestions for improvement are always welcome. And while we're on the topic - is there anything else you'd like to know? suggestions for things you'd like to see more or less of? general comments? This is my very first time here. You have a very interesting blog. I'm loving so many posts! I always love your creative invites and parties. General comment: love your blog. I take so much inspiration from you! And I love your creativity with your party invites. Congrats on the new job and welcome home from Oz. I've been lax in posting comments but I do keep up with what you're posting. What plans do you have for that library file you have pictured here? I've always admired them but didn't have a clue as to what to use it for. I hope you know by now that I love your blog! I know, to you, it must feel as though you've covered your house to the minutest detail but I really love it when you do posts that talk about it. Like, REALLY love!!! Oh, and your crafts are my other favourite. Am I allowed two?! That's awesome. I can't wait for my next trip to NYC to use your guide. A native friend of ours took us to a fun restaurant in Park Slope with a nice atmosphere but I forget the name. LOVED the area. My mom grew up in Jackson Heights. I love your travel posts!! I would like a post on what you carry with you when you are sightseeing, eg. camera, money, guidebook, etc. And if you use a backpack or a messenger type bag, or nothing. Do you carry your passport with you at all times? You always look so pretty in the pictures and do not look like a tourist. Really like the party invitations that you come up with. I would love to be on your mailing list, I would pay for it!! Your home is an inspiration!! I think that she just posted a generic picture to drive home the point of "organization." Haha. Hi there.  I really enjoy your blog and travelling along with you and Mr. Limestone. I would like to know if you and your husband would like to adopt me. I know I am older than you both put together but you seem so utterly fabulous and I would love to grow up in your renovated homes. @twitter-27535088:disqus No, @dc793e4f567c2eeba7cb08a3f52c7c4b:disqus is right - that is my card catalog. I'm struggling what to do with it right now (post coming on that topic) so its empty but Im dying to fill it with little crafty things that are littering the rest of my house. Thanks @Rocio - Ill definitely do a post on that if you are interested. Thanks for the suggestion. Thanks @AmberDownes - more Steal this Ideas are definitely on their way. Thanks kristincita1 - hope my brooklyn guide can help. There is so much to do here its hard to boil down the suggestions. Thanks! I have another fun invite Im working on that Ill be able to show in a little bit. But its still in progress. That's actually really neat! Hopefully you'll find a place for it soon that you feel comfortable with... I'm having a really similar problem with some of my furniture since I moved into a new apartment with less rooms and (seemingly) more furniture involved than before!